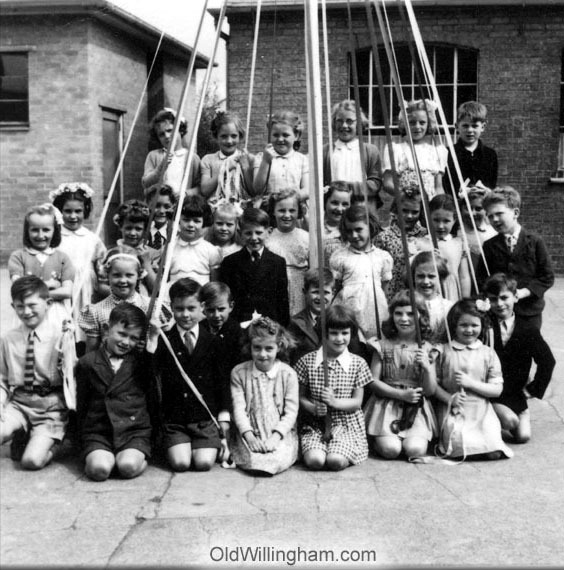 We are heading back to the late 1950’s this month and here are the primary school children with the maypole. The maypole dance has died out in recent years but required skill and training as the children circled in different directions weaving the ribbons until the pole was covered. This one is at the back of the old school on Fen End. Those with eagle eyes might spot young member who is now an important local councillor!